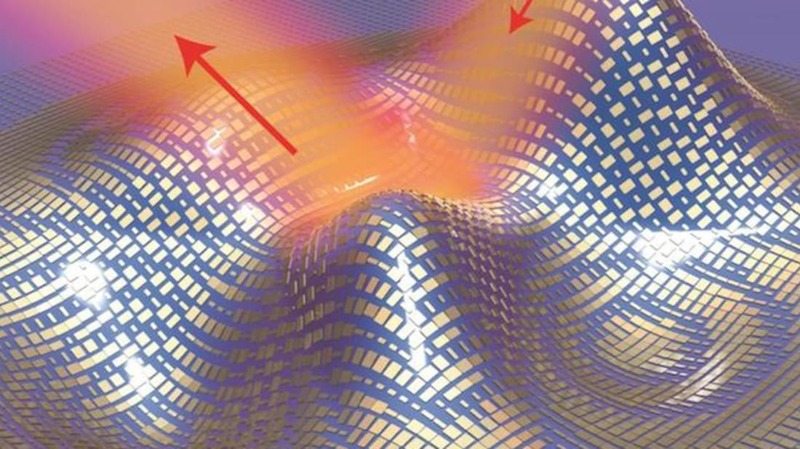 Invisibility cloaks like this one hide an object from view by “guiding the light around it,” Science explains. This new cloak is made from a metamaterial—meaning a material that’s made to have properties not found in nature—consisting of microscopic gold nanoantennas. These nanoantennas, which are only 80 nanometers thick, distort the light waves coming at the object so that they bounce off it as though the object were a flat mirror. In doing so, they can make 3D objects appear flat and obscure them from view. So far, the Berkeley researchers’ invisibility cloak has only masked tiny objects, but they feel confident that flexible, highly reflective materials such as theirs could be made in larger sizes in order to obscure bigger objects. While many are quick to jump to the military implications of this new technology, Xiang Zhang, director of the Berkeley Lab’s Materials Sciences Division and one of the study's authors, tells The Guardian he has something else in mind.